Back in my yoof I experimented with acrylic nails, which unfortunately left me with years of grief and paper for nail beds. Nothing has ever damaged a part of me so much than a guy from Vietnam armed with an electric nail file. Since then my nails have been brittle and weak, not helped by my need for constant colour. 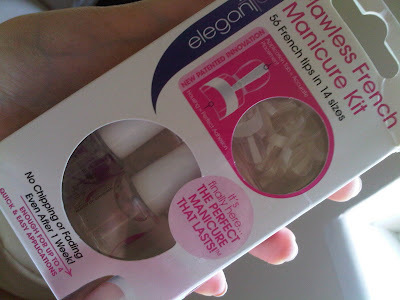 After discovering the Flawless French Manicure Kit from Elegant Touch though I feel I may have found the answer to some of my nail-related problems. 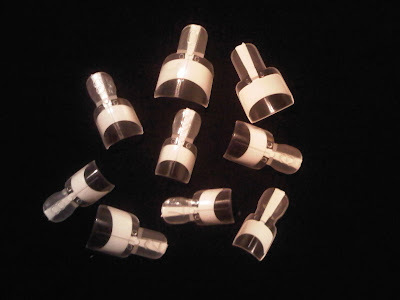 The kit takes the french manicure to a new level by having individual false nail tips that are applied to the nail with glue, then broken away from the housing to leave a flawless looking french tip. They’re dead easy to apply and get in the perfect position, leaving you with a nail that looks like you’ve been down to the salon. I applied these in about ten minutes or so, so it’s no longer than our usual indulgent manicure and the results last for days. What I really like though is that they don’t feel like false nails at all, just like you’ve had a bit of pampering. You file off the edges to make the tips blend into your nail and you can’t tell the difference. They also eliminate the problem of chipping as the white bit is literally a thin bit of plastic that can’t chip. I spent the whole of the weekend in a field, stroking cows, playing with ducks and generally getting grimy. There’s no damage, no flaking or peeling whatsoever – I’m pretty darn impressed. When you want to remove them you just use nail varnish remover and hold on for a bit longer until you can push or peel off the tip. It gives your nail underneath a little time to rest and grow out too, meaning it could be a simple long-term solution for bad nails. The set comes with a base and top coat to make sure the rest of the nail looks flawless and the tip stays in place, so you’ve got everything you need for a flawless set of talons. My nails are a bit short for them as they’d be ideally suited to someone with a bit of length, but they’re pretty ace nevertheless. A definite thumbs (and fingers) up from me. Available from major high street chains and online for around £14.99 for a kit. 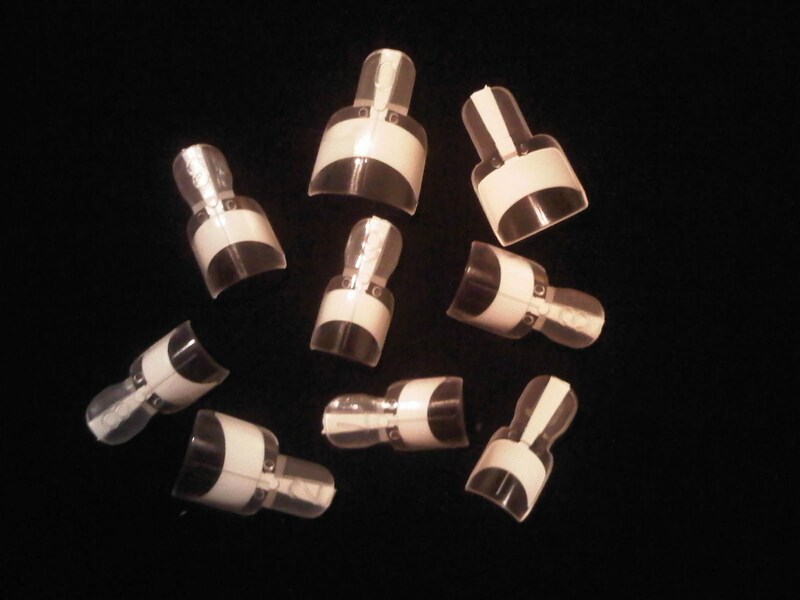 The kit contains 56 tips in 14 sizes, so you get 2-3 manicures out of it. QUICK UPDATE – I’ve now had them on 4 days and I lost one tip so had to replace it. Another tip broke in half but I soaked off the remainder with nail polish remover and it literally melted away. Five mins and my talons are back looking fab again. i don't think you realise how bad they look. 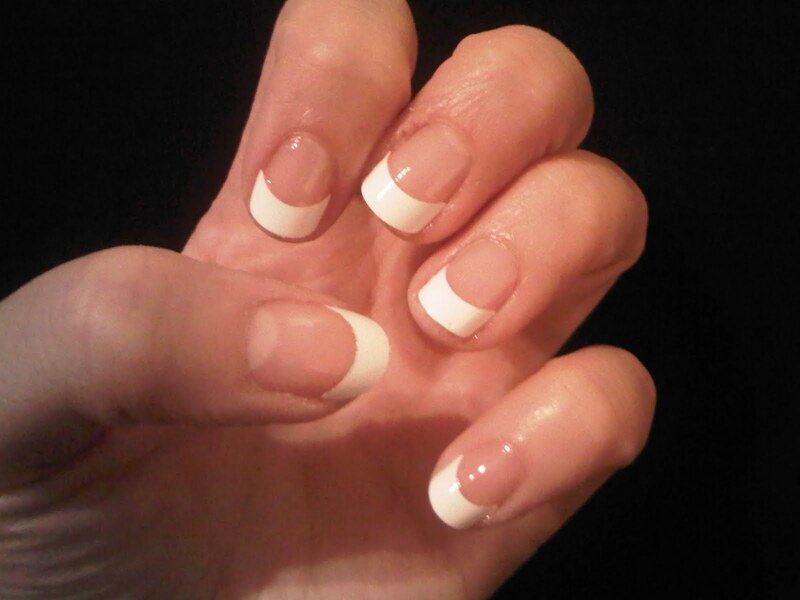 a french manicure should consist of a thin white strip not half a nail of white polish, that isn't even a stripe. maybe practical but no eyecandy. Dear Anonymous (seriously, why do people feel the need to hide their identity?!) You can clearly see that I have short nails which aren't usually adorned with a french manicure because I have no tips. These are obviously meant for people with longer nails, but in the deed of trying them out for people like you, I applied them anyway. Maybe focus on the fact that they do a good job rather than slagging off my nails? I used this yesterday and had a nightmare day at work 2 of them kept coming off even after applying more glue. I removed it at home and it ruind my nails.To be fair if you have very short or messy nails this might work, I have strong nice long nails and I will not recomed it for anyone like me.